Minimally invasive pulmonary resection has been shown to have multiple advantages over open lung resection, including fewer complications, decreased length of stay, decreased pain, improved quality of life, and improved compliance with adjuvant chemotherapy [1–3]. Although oncologic outcomes appear equivalent, the majority of pulmonary resections for lung cancer are still performed via thoracotomy. 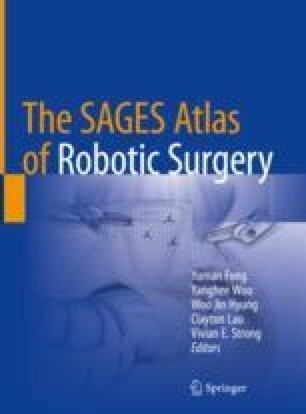 The robotic platform offers unique advantages over traditional thoracoscopic lung resection and may overcome some barriers to wider adoption of minimally invasive lung surgery.